During the winter of 2011-12, many local residents and visitors alike enjoyed the Farmer's Market here in Peñasco. As the fall of 2012 came upon us, it seems as though there would not be a return of the Farmer's Market, so we began thinking about hosting a similar event. We thought about some of the obstacles that existed for the Farmer's Market. 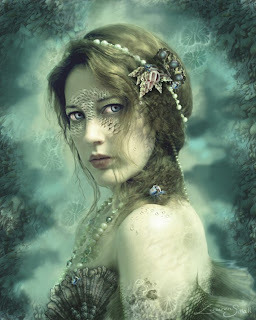 And we discussed how we could - hopefully - work past many of those same obstacles. One was the lack of "Farmers!" so if they don't show up it will not come as a surprise to anyone! 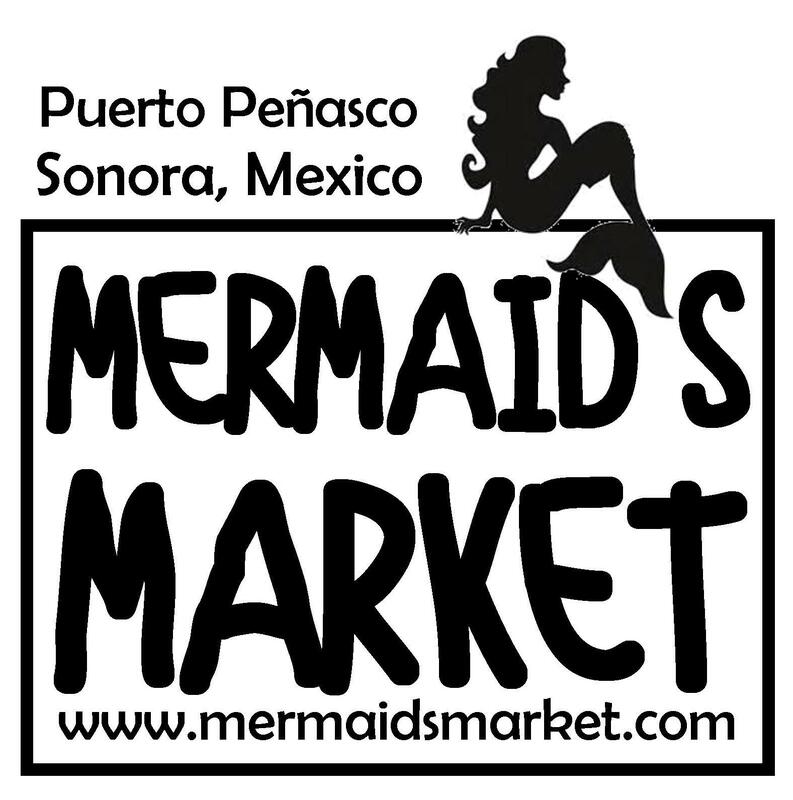 And, besides, who knows what mermaids sell - or buy for that matter! On a more serious note is the need for the Market to be easily seen. We chose a highly visible spot as our first choice (with a "Plan B" in the back of our mind) . 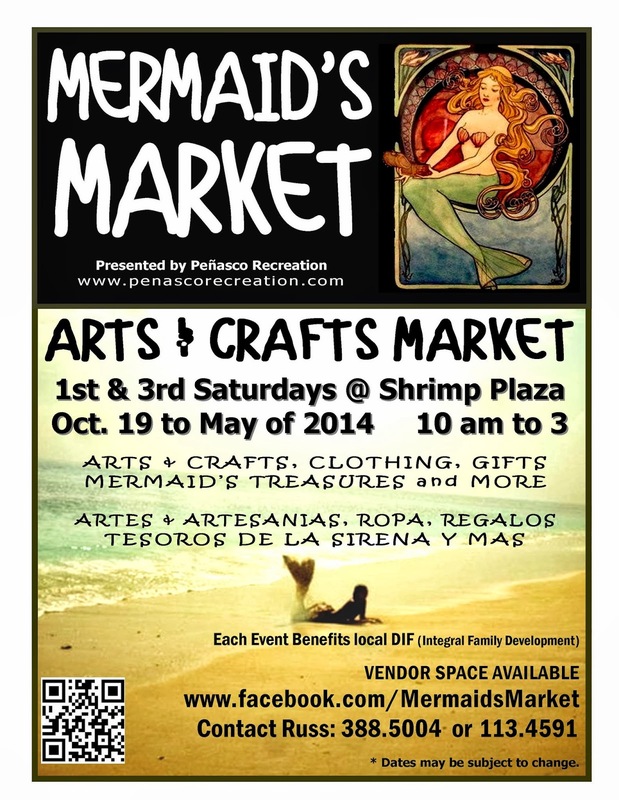 . .
And we are absolutely thrilled that we are able to use the "Shrimp Park" as the site for the Mermaid's Market! We have a use permit from the city which will be granted on a monthly basis and we hope to continue the Market each winter thru the spring months! The booth space fee will, in part, benefit our local DIF which gives needed assistance to local vulnerable families and children. The fees will also be used for extensive advertising and promotion for each event. So come and check it out! And spread the word! MISSION: Giving quality attention to vulnerable families while coordinating efforts with the Municipal Administration for benefit of programs that depend on DIF.